Elizzabeth Hope: Meet Lilly Rose! Hello everyone! Long time no post I know...I've been so busy with school, family, and now my new puppy!!!! Everyone! Meet Lilly Rose! 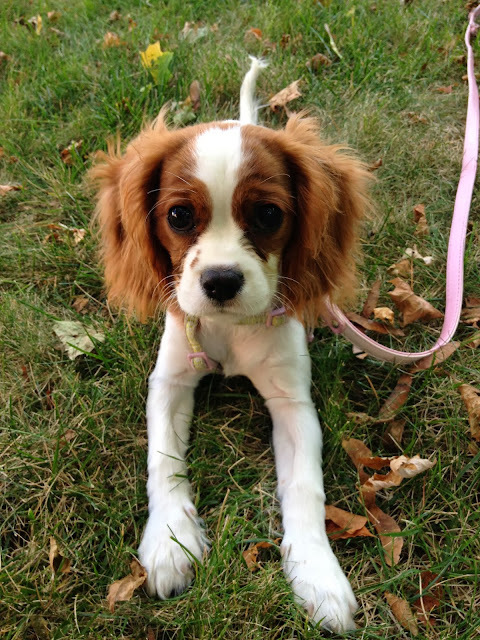 She's a 4 month year old King Charles Cavalier Spaniel. We brought her home the end of the August and of course I was heading off to school so I spent every waking moment with her possible! She's the best! I couldn't of asked for a better puppy! She's loving, loyal, and everything I wanted and more! 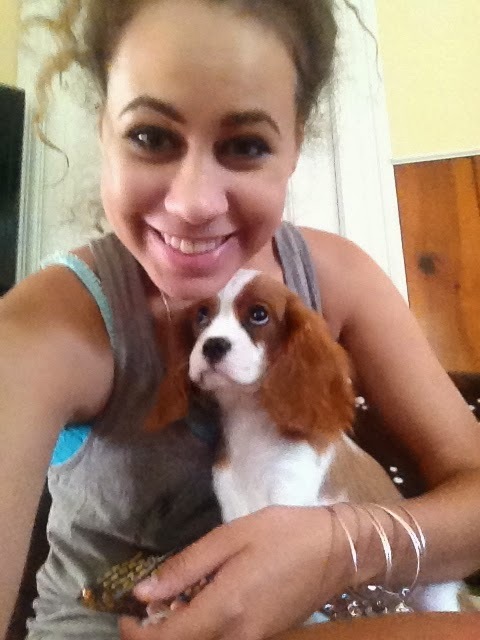 It was great for my family to get this puppy when we did as well. My Great Uncle Pete pasted away, my Grampie was having knee surgery, and I was leaving for school. Having Lilly around has created a certain calming feel, sometimes stressful, around the house. Which is good for my family. She's actually sitting with me right now asleep while I post this blog post. She's so adorable and I'm so happy I get to share her with you today!! She's such a loving puppy! I love her so much! It's almost been about 8 years since we've had a puppy in the house and it couldn't feel better!